Pressure can build up around nerves in the arm and hand. When this occurs the nerve is said to be 'trapped' and this causes combinations of pins-and-needles, aching, burning pain, numbness and may progress to a stage where muscles are permanently weakened. Symptoms are intermittent at first and then become more continuous and interfere with sleep and daily activities. By far the commonest nerve to be trapped is the 'median' nerve in the 'Carpal Tunnel'. The carpal tunnel is in the heel of the hand. It is a narrow channel between the bones of the wrist which contains several tendons and the median nerve. 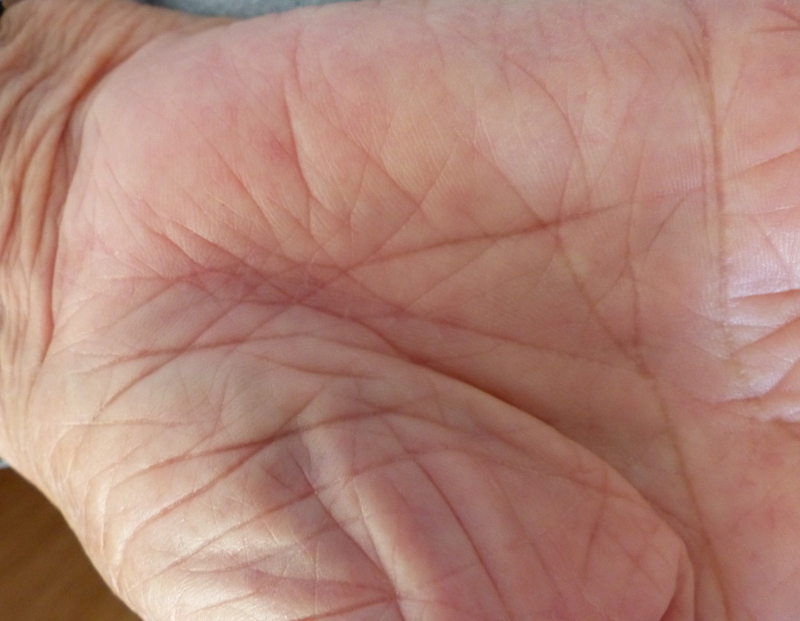 Pressure can build up in this narrow channel, usually because of some mild swelling on the tendons. The pressure affects the median nerve and this causes the 'Carpal Tunnel Syndrome' which may be felt in the fingers, hand and forearm. The next most common nerve to be trapped in the arm is the 'Ulnar' nerve and this is usually trapped behind the elbow - ‘Cubital Tunnel Syndrome’. Despite being trapped at the elbow, the symptoms are felt in the hand and fingers (usually the little finger). 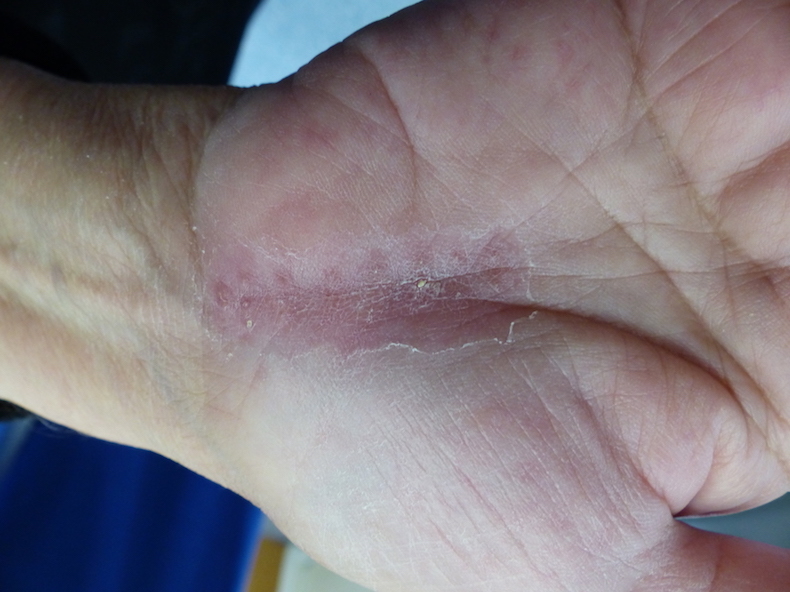 A trapped nerve at the wrist can frequently be diagnosed in clinic without the need for special tests but in some cases, ‘nerve conduction tests’ will be needed to help with diagnosis especially if cubital tunnel syndrome is suspected. 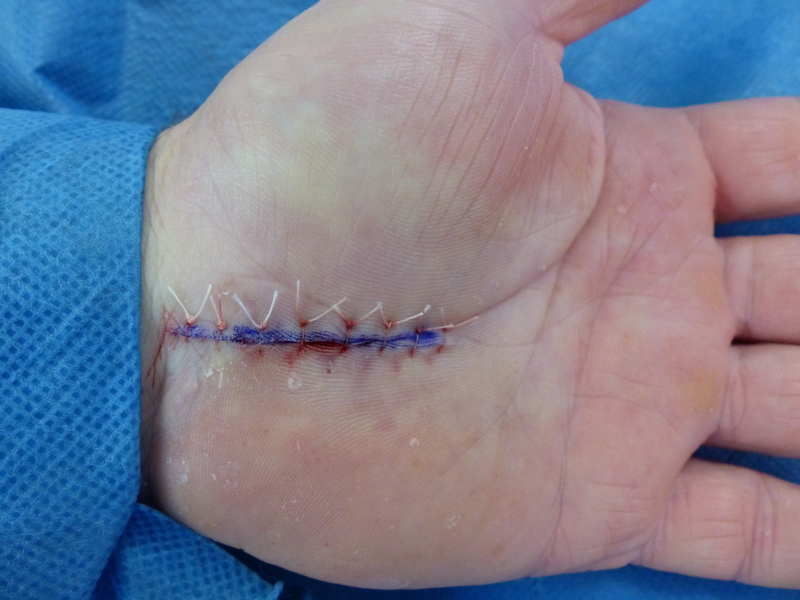 Carpal tunnel syndrome in its mildest form may be treated with a removable splint. Where the condition is more severe it will be necessary to release the pressure on the nerve with a short operation. This is a day case, awake procedure (local anaesthetic). Many patients report that their condition is improved within a day or two of surgery. After the operation, gentle daily activities are encouraged immediately although very repetitive or strenuous activities will not be possible for several weeks. It is possible for other nerves in the forearm, hand and wrist to be trapped but these are much rarer conditions (Wartenburgs syndrome, Guyons canal compression, Radial Tunnel Syndrome, Pronator Syndrome). Where necessary, these are amenable to surgical release also. It may also become apparent that a problem in the neck is causing pain to travel along the nerves to the arm and the hand. If this is suspected further scans and specialist opinions may be required. In many cases both hands are affected by carpal tunnel. Some patients choose to have both sides operated on together as this means only a single period of 'down-time' from work and activities. This is entirely feasible and well tolerated. 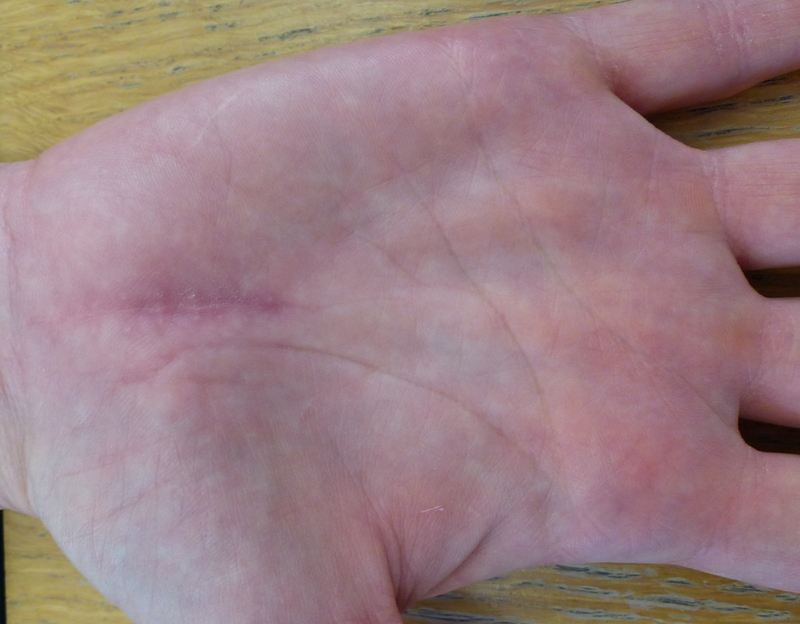 Video taken within minutes of performing bilateral carpal tunnel surgery using 'wideawake' local anaesthetic technique. No bandaging or other impediment to the hands allows early return to normal activities. 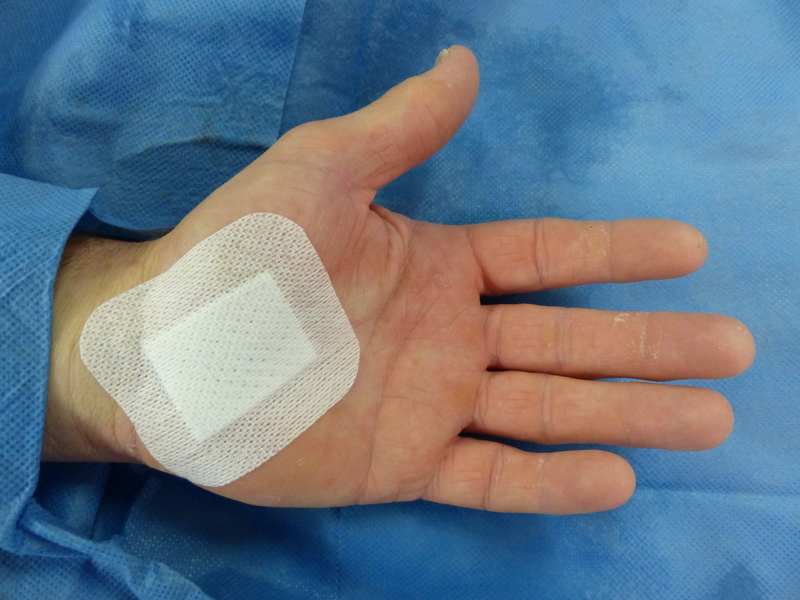 Only a sticking plaster is necessary (no bandages) - this allows unrestricted mobilisation immediately. Quicker recovery and return to normal as a result. 4 weeks after surgery. Stitch knots have fallen away. Scar may be a bit itchy, sore or sensitive; this responds well to regular massage and activity.